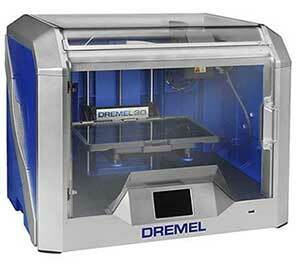 Please find below the initial unboxing and review of the Dremel 3D40 Idea Builder printer. This is aimed to be one of the easiest printers to use.. Have a watch of the video to see how it turned out. I'll be doing a more in depth review in a few weeks time once I've played with it a bit more. If you use any of my designs and can afford to donate to help pay for this site and the filament, or just buy me a beer then please click on the link below, enter an amount and donate what you want. So very true busted.. lol I'm about 75% done editing the video review now. I just need to record a couple more menus and I'm hoping for a release this weekend. I printed a tree frog out after I did the review... not kidding it's really good! Photo attached below. I'm just printing Groot out now, and again blown away by the quality of the print. If you look at the frogs chin where you would normally get a few strings because of the over hang.. nothing on this frog, its perfect! You have been busy, nice work on the video. I decided to give it a decent test this morning and loaded up a light saber.. well all the parts on the same bed. Normally I would just do it STL at a time.. but I thought that's not a test! So I'm about 9 hours into a 16 hour build now. Still going well. Photo is of the build at about 5 minutes..
Well... The light saber print failed at about 11 hours into a 16 hour build. Looking at the parts the Y axis motor either missed steps or the belt jumped OR something i must consider.. little fingers opened the door and decided to cause a stop against the moving head. Either way I'm keeping my eye on the prints now. If it happens again I'll be calling customer support to see if they can advise anything. All will be in the full review anyway. I might try the saber again in smaller parts this time.